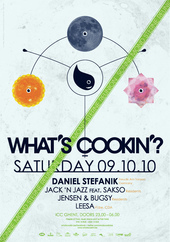 October 9th What’s Cookin’? is kicking off a 5th party season. A heartfelt thank you goes out to everyone that has come out and indulged our passion over the years !! You are the Party !! Since half of Ghent attended the SonneMondSterne Festival in August we felt it was time for a little reunion. Headliner of the night is Detroit born Daniel Stefanik. The German based producer and DJ bursted out one of the best sets we’ve heard in a long time. Expect a spicy Freude Am Tanzen recipe. Dinner starts at 11 pm with young talent Leesa who recently won almost every DJ contest held in Belgium. 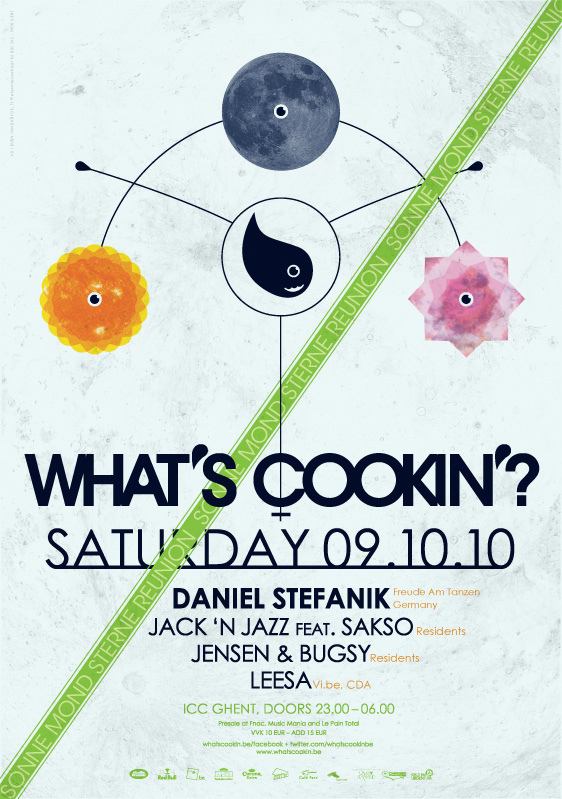 Chefs Jensen & Bugsy are taking us back in time and Jack ‘n Jazz team up with the mysterious Mr Sakso . House house and more f*cking house! Oh and this time you can leave your Gummistiefel at home !! !